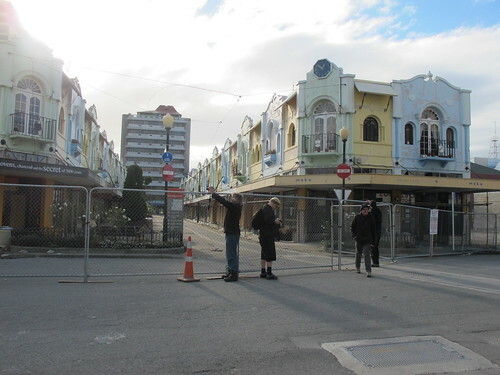 New Regent Street opened on 1 April 1932 by Christchurch Mayor D.G. Sullivan. We have in our collection these splendid 1931 New Regent Street plans. 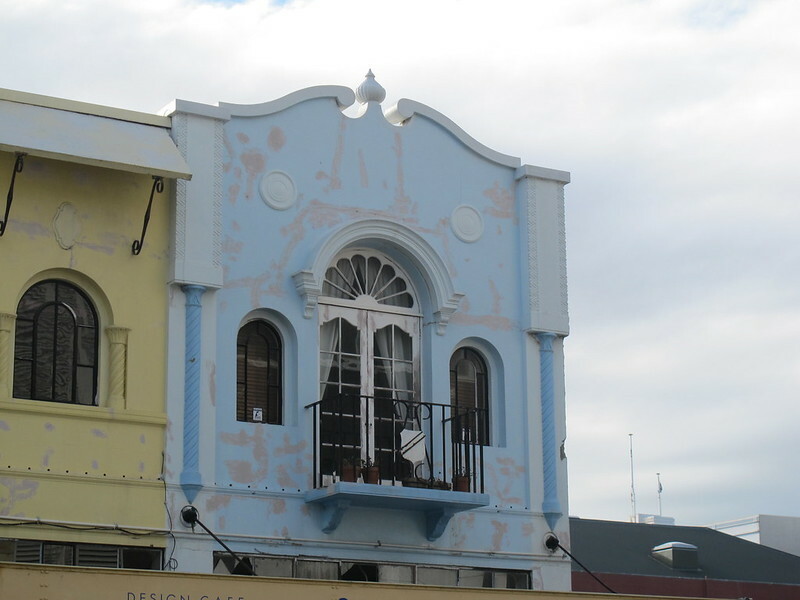 New Regent Street ... is lined with two terraces of Spanish Mission style shops. The site now covered by New Regent Street and its terraced shops was once the location of the Colosseum, a building designed by Thomas Cane and erected in 1888. 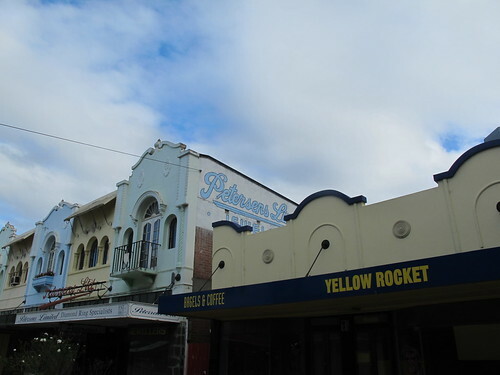 This building was first an ice skating rink, then a boot factory, taxi rank and finally, in 1908, Christchurch's first picture theatre. In 1929 a company, New Regent Street Limited, was formed to develop the site of the Colosseum. The company's architect, Francis Willis, who specialised in the design of movie theatres, decided that the street should be built in the Spanish Mission style ... buildings in New Regent Street feature some of the classic traits of the style, such as the shaped gables, medallions, tiled window hoods, and barley-twist columns.The street was opened by the mayor of Christchurch on 1 April 1932. Only three of the forty shops were let at that time due to the Depression. 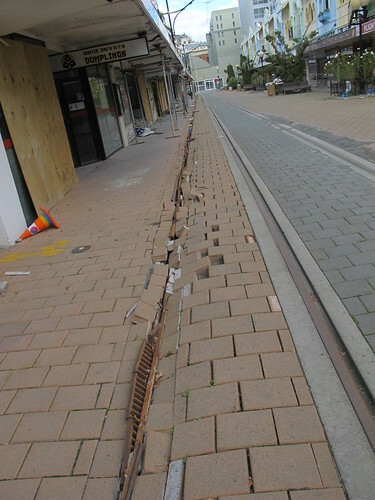 The Depression also affected the construction of the street. Find New Regent Street in our catalogue. 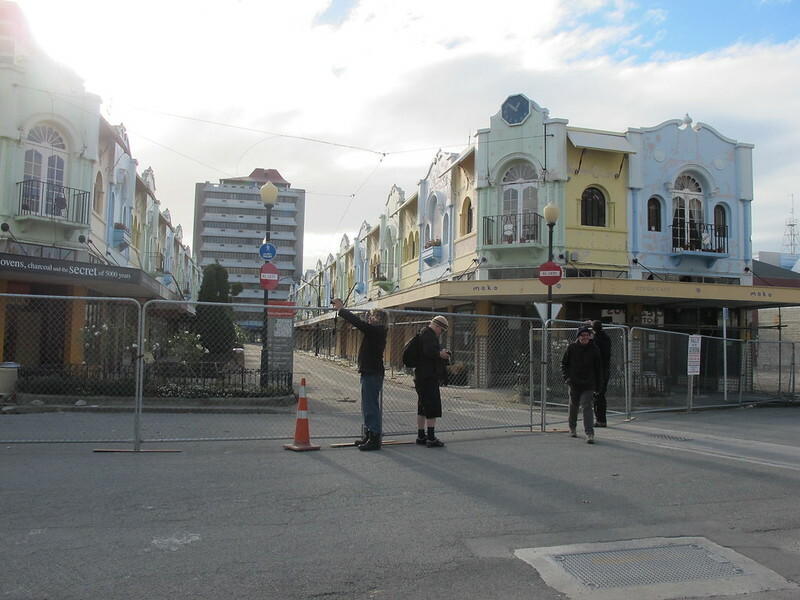 New Regent Street information and images on Kete Christchurch. 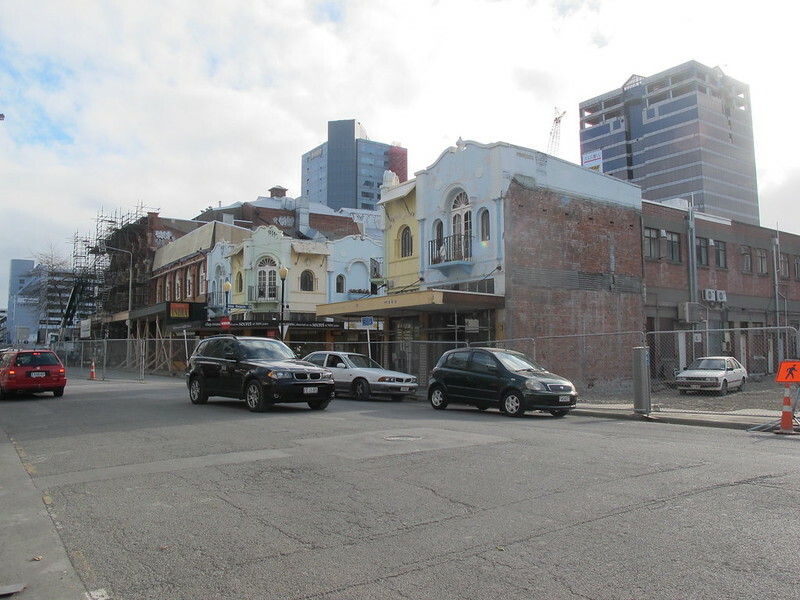 New Regent Street images on the Discovery Wall. 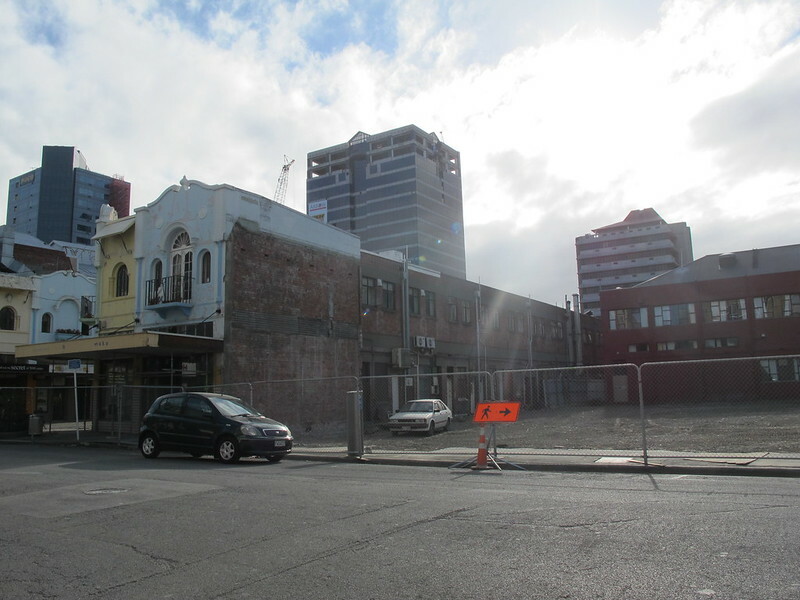 Some transcripts of newspaper articles about Arthur Stacey and his involvement in the development of New Regent Street (opened April 1932), Kete Christchurch. 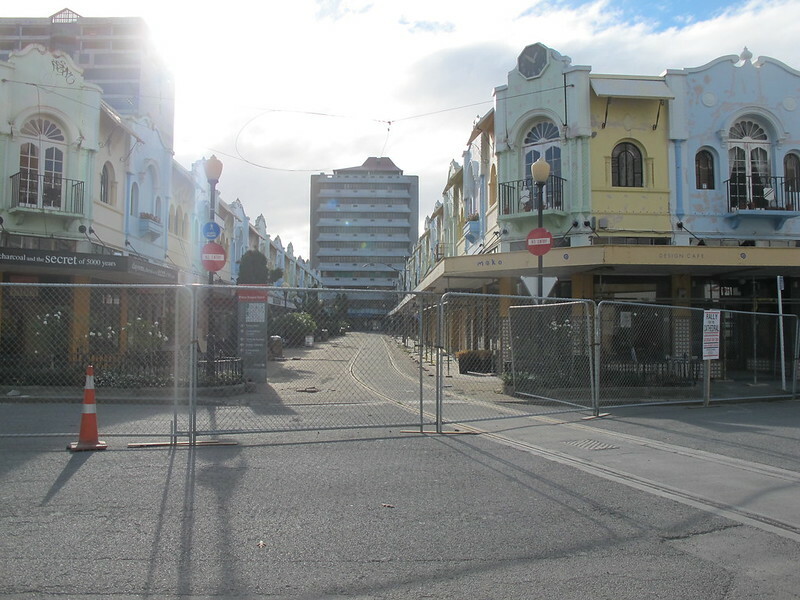 Our New Regent Street photos on Flickr. New Regent Street listing on Rarangi Taonga: the Register of Historic Places, Historic Areas, Wahi Tapu and Wahi Tapu Areas. 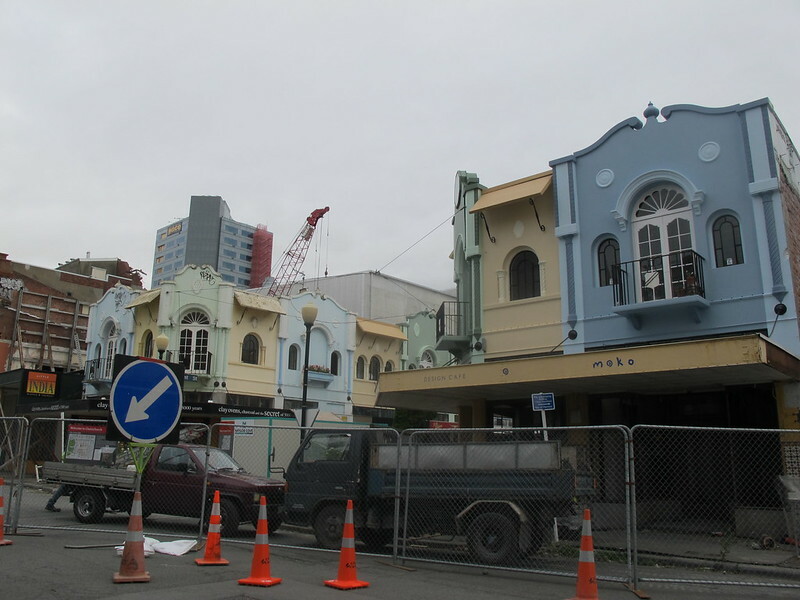 New Regent Street on DigitalNZ.